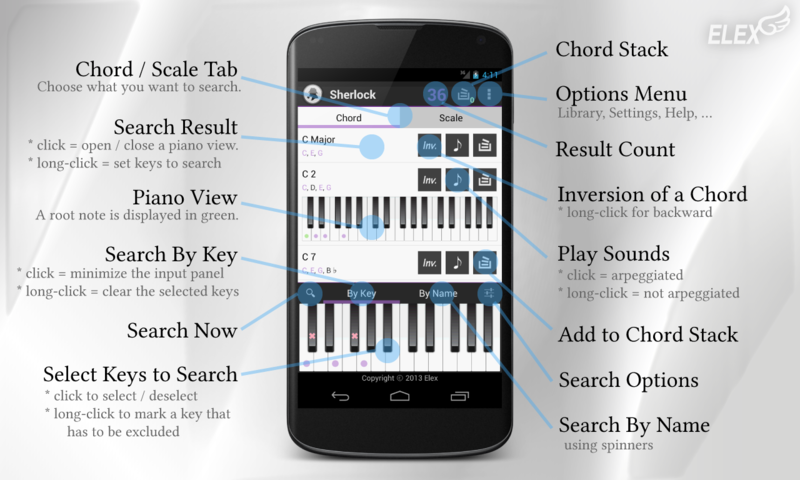 Sherlock is a user-definable library based (reverse) chords and scale finder. Simply touch some keys of the chord / scale you want to look up, Sherlock will find it for you. 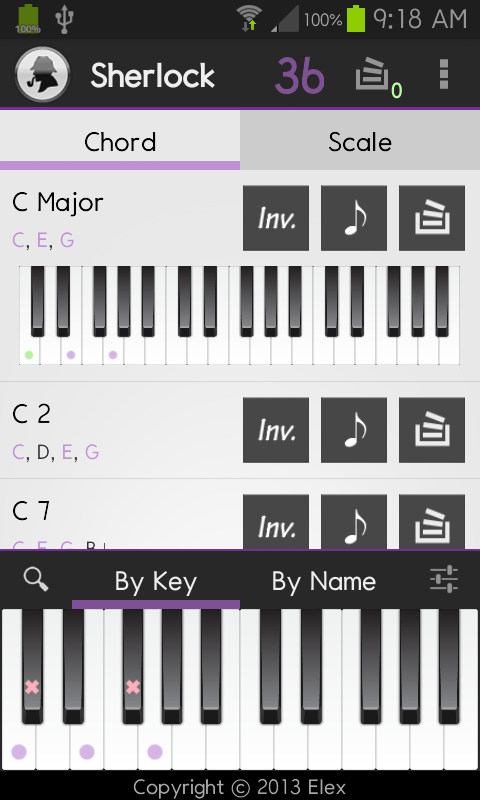 To search a chord or a scale, click some notes of a chord / scale on the piano input panel. 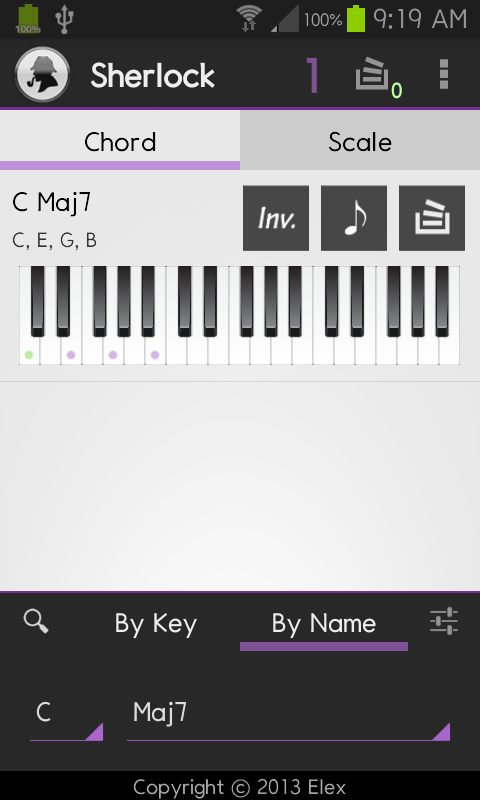 Long-click the key to exclude some chord / scale that have the note. 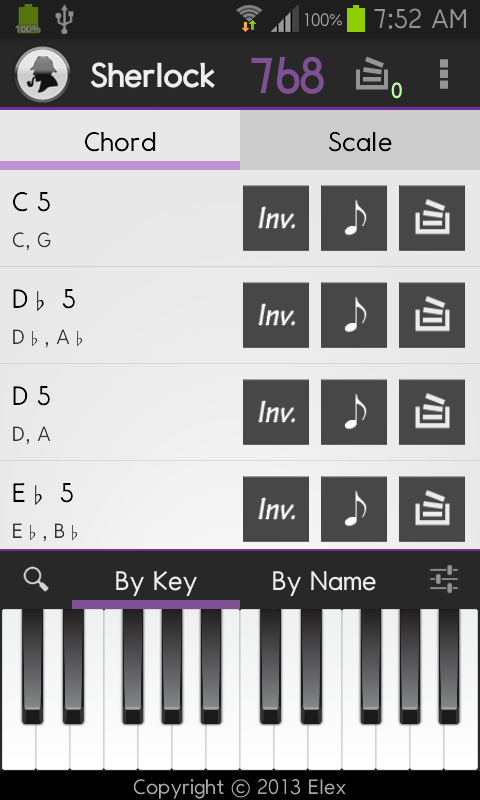 Also, users can look up a chord / scale by selecting a root note and a type name. 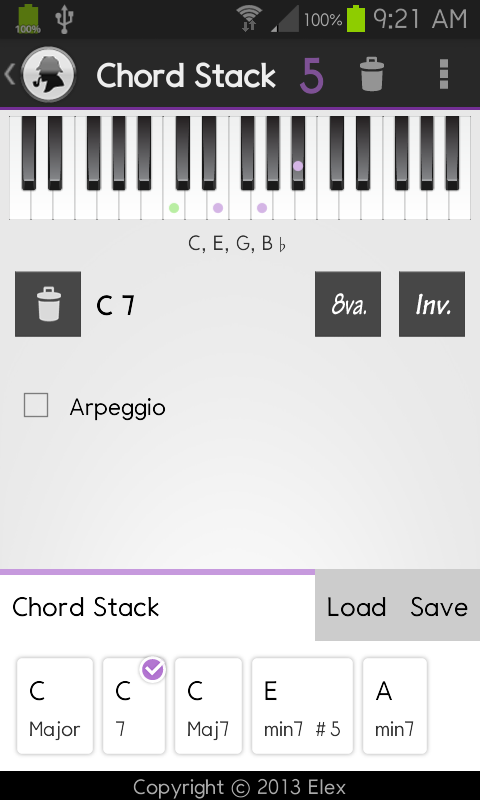 Chords can be stored on the stack. 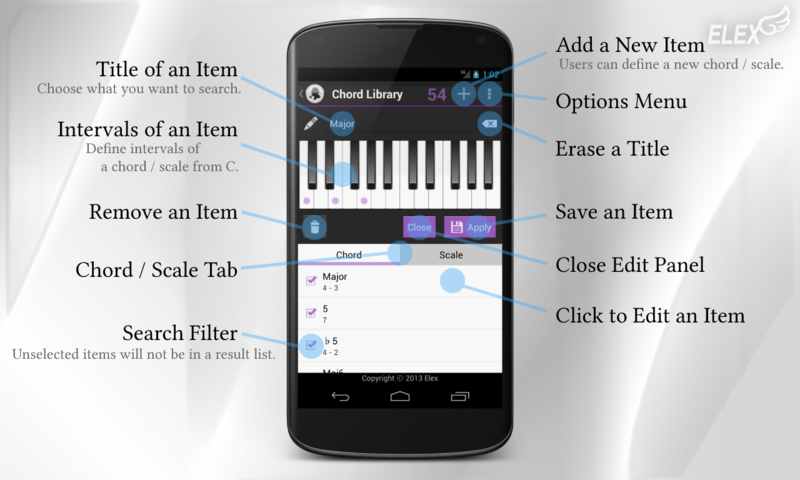 Users can try changing an octave or an inversion of a chord and can play the chord. 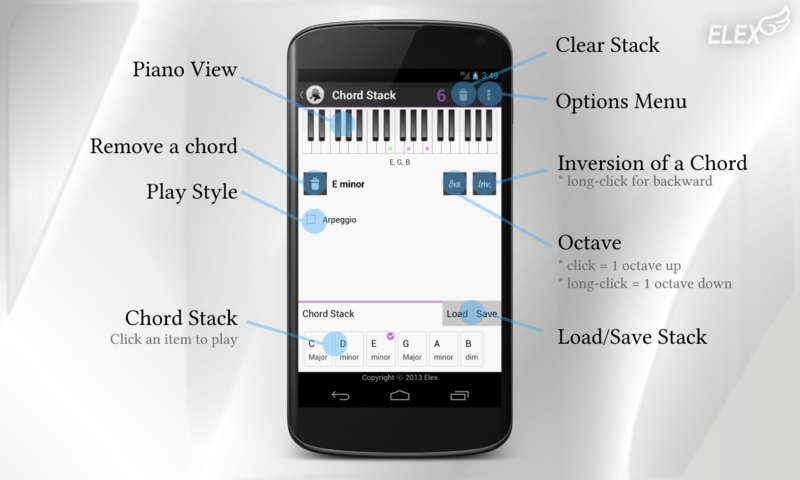 Chord stack is useful in testing a chord progression. 64 chord types and 74 scale types are already defined in the library. Moreover, users can edit or add data if needed. 3-octave ranged piano sounds have been recorded with a high quaity audio device. 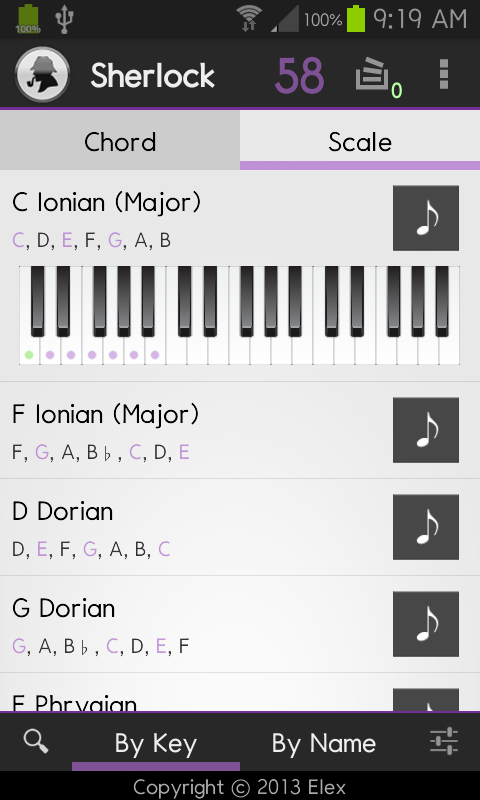 Following chords are pre-defined in a paid version. Following scales are pre-defined in a paid version. Following chords are pre-defined in a lite version. Following scales are pre-defined in a lite version.